SACRAMENTO – Gov. 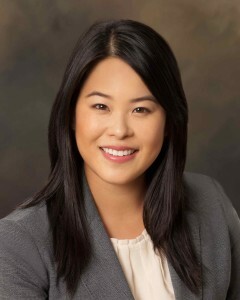 Jerry Brown on Nov. 10 announced the appointment of Christine Hironaka, 28, of Piedmont as assistant director for policy development at the California Department of Resources, Recycling and Recovery, where she has served as deputy director for legislative affairs since 2014. The Department of Resources Recycling and Recovery (CalRecycle) brings together the state’s recycling and waste management programs and continues a tradition of environmental stewardship. It works toward a society that uses less, recycles more, and takes resource conservation to higher and higher levels. Hironaka served as a legislative assistant in the office of State Sen. Mark Leno (D-San Francisco) from 2010 to 2014 and as a capital fellow in the office of State Sen. Denise Moreno Ducheny (D-San Diego) from 2009 to 2010. This position does not require Senate confirmation and the compensation is $100,008. Hironaka is a Democrat.